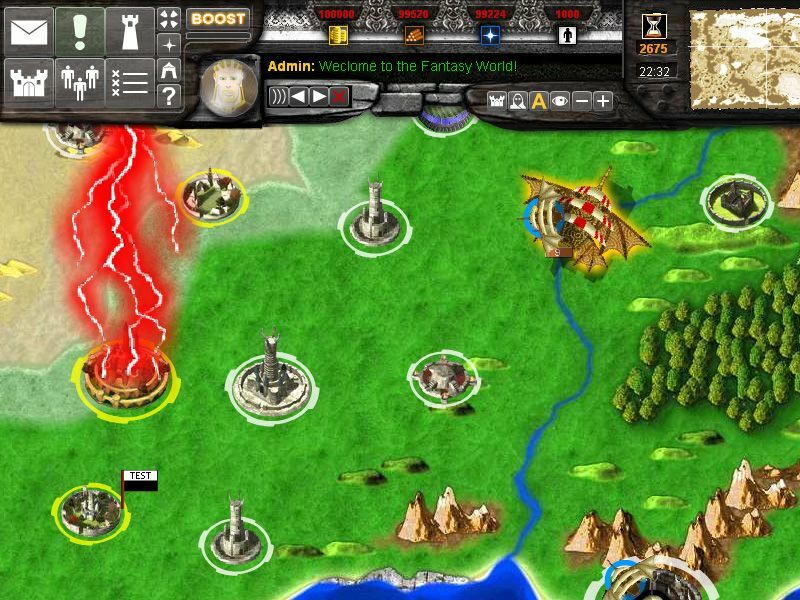 Battle Dawn is a free browser game of strategy, tactics, diplomacy and skill. Your goal is to ultimately become the strongest leader on the world, supreme to all others. You must learn to use diplomacy, resources and military to aid in your quest for ultimate power. You'll soon discover that greatness can be only achieved through teamwork. Battle Dawn is a free to play, community supported game. Since its first release in June 2006 it has attracted thousands of avid strategy gamers, friends, co-workers and families to play and have fun together all over the world. Battle Dawn is designed to consume minimal time from the player, as it is turn based and spans over long periods of gameplay. You can be a top player by logging on into the game a few times during the day for a few minutes just to check your status, send messages and give orders to your armies. You can play this game from anywhere with an internet browser; Home, school, work which makes it an ideal game for busy college students or working people.